(okay, so I may be a bit eager... but who can blame me?!). 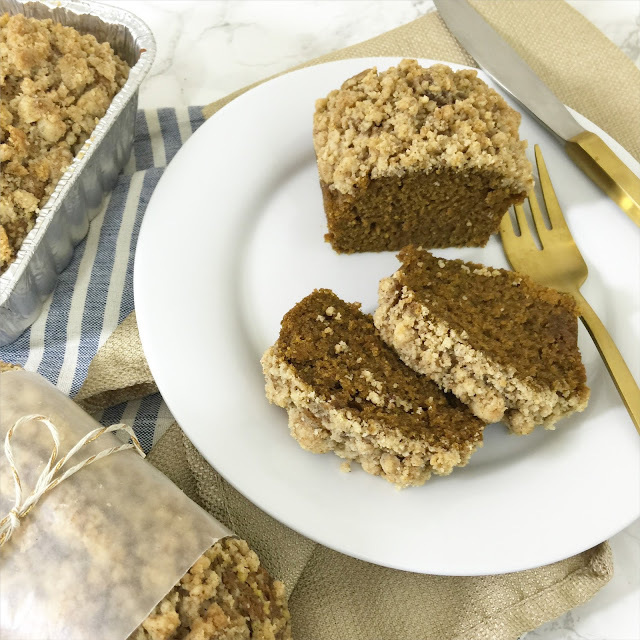 This pumpkin crumble bread is to die for, and you really can't go wrong if this is your inaugural pumpkin recipe of the year. 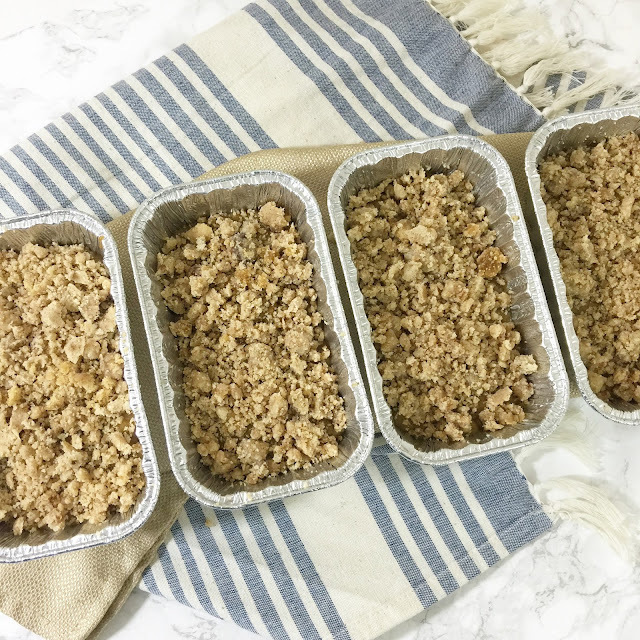 The recipe makes 4 small loaves - and whether you plan to share or not, everything is cuter mini! Simply begin by whisking together the pumpkin, coconut oil, butter, eggs and vanilla extract. Next, slowly mix in the remaining ingredients. Finally, pour the batter into four small bread tins with non-stick spray. Simply combine all of the ingredients in a mixing bowl, and divide between the four bread pans to completely cover the batter. Bake for 30-35 minutes at 350 degrees. 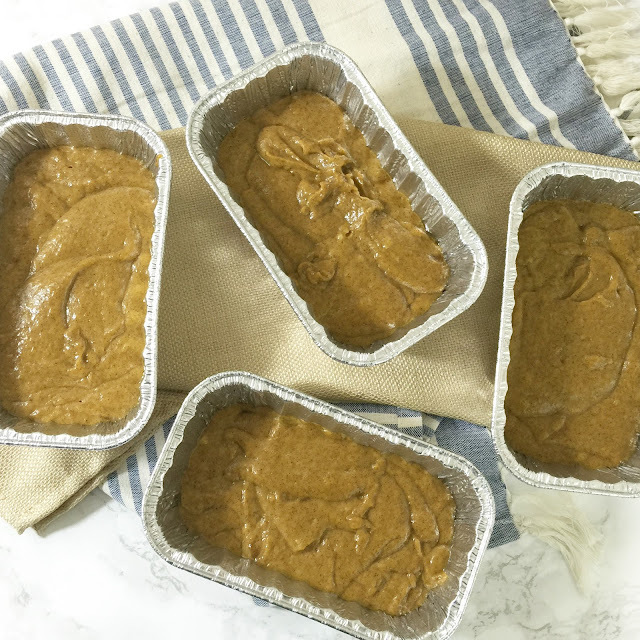 After baking, let fully cool before removing from the tins. 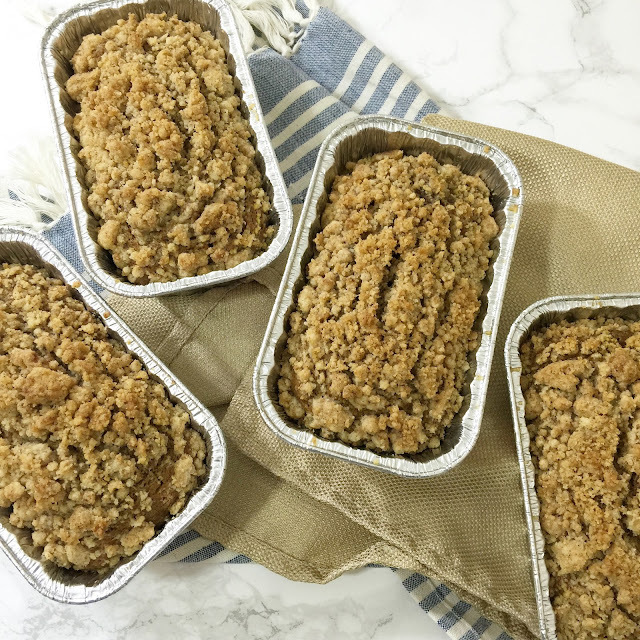 This bread is moist, flavorful, and screams fall - basically, all things wonderful... this recipe will most certainly be made once or twice more this year! And don't be scared by the long ingredient list - I already had everything in my pantry! This couldn't be any easier! Can't wait to give it a try. Bring on the pumpkin recipes!! 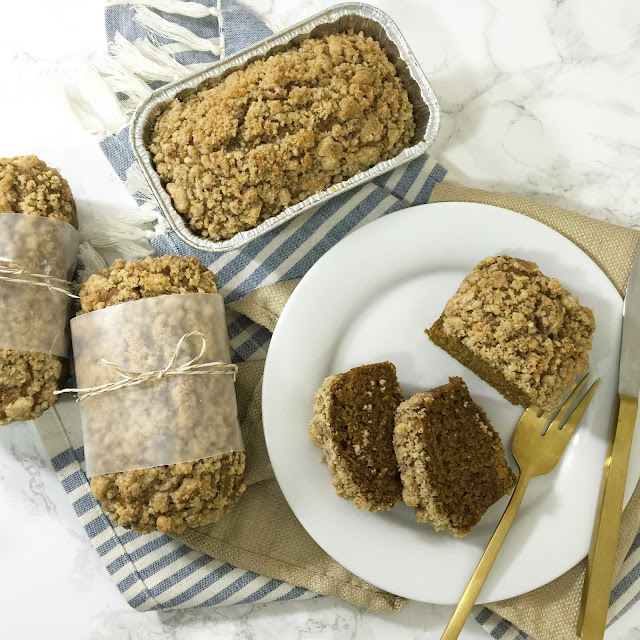 I love coffee crumble cake so this sounds amazing! YUM!!! YUM!! your recipes are always to die for. keep posting! You've never failed me with your past recipes so I have to bookmark this ASAP! I made your pumpkin pull apart bread last year and it was a HIT so I cannot wait to make these!!!! Thanks, Lisa! Oh MAN how good do these look?! Oh man, these look delicious!! yum yum yum this looks so good! Does this have a muffin consistency? 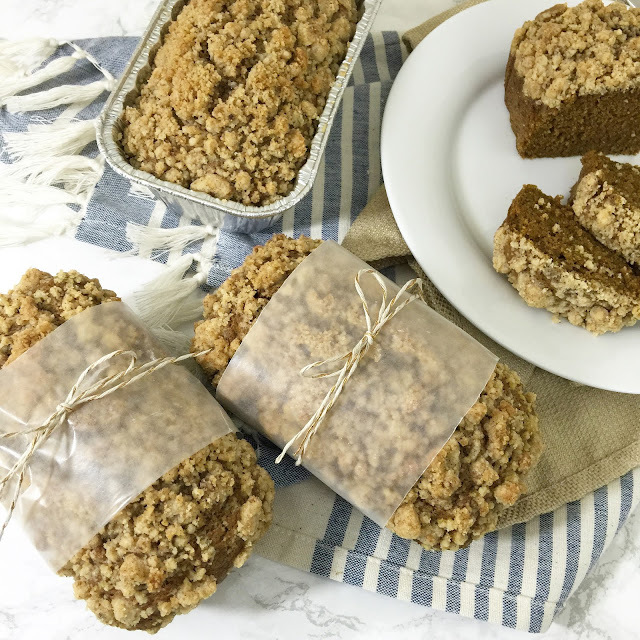 These sound so delicious, definitely putting them on my agenda to bake this fall!